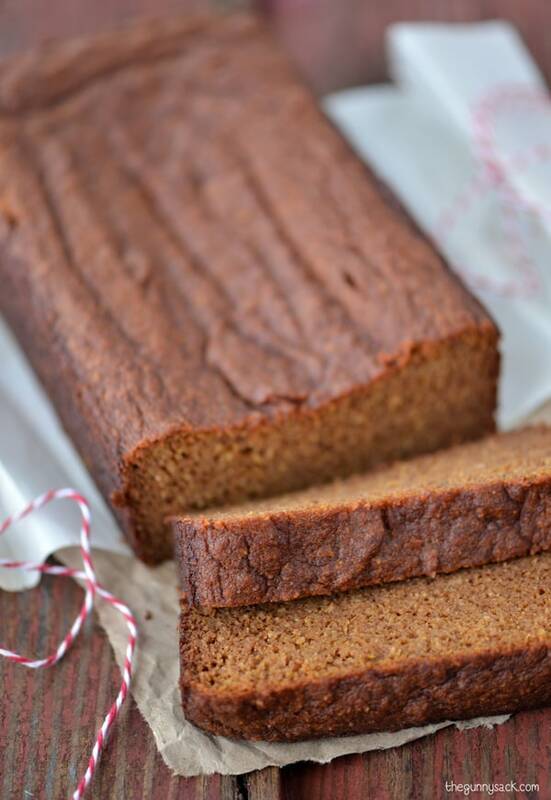 This pumpkin gingerbread is grain free and gluten free. This delicious, moist bread recipe is made with almond flour and coconut flour. 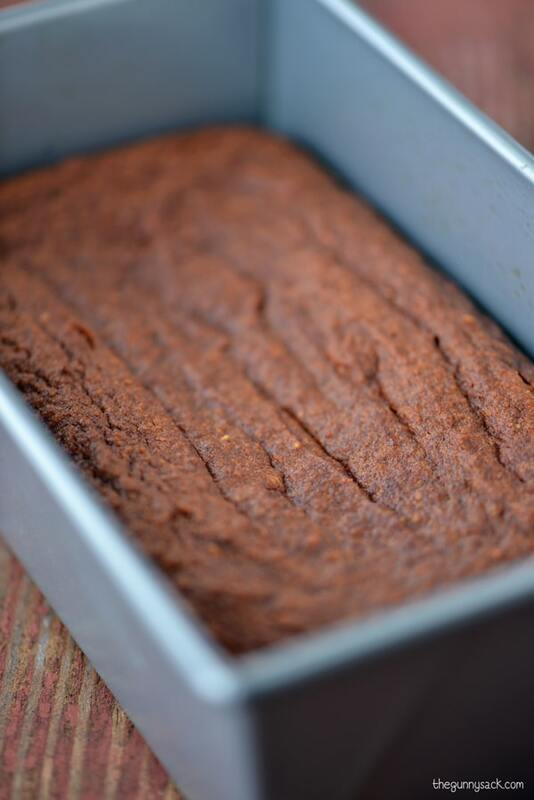 Disclosure: I received Nutiva products to facilitate this Gluten Free Pumpkin Gingerbread Recipe post. I’m hearing more and more about people who eat a gluten-free diet. Although my family doesn’t have any gluten intolerances, I have friends and relatives that do and a couple even has celiac disease. My cousin, who is now an adult, was diagnosed when he was a baby. Boy, have things come a long way since then. 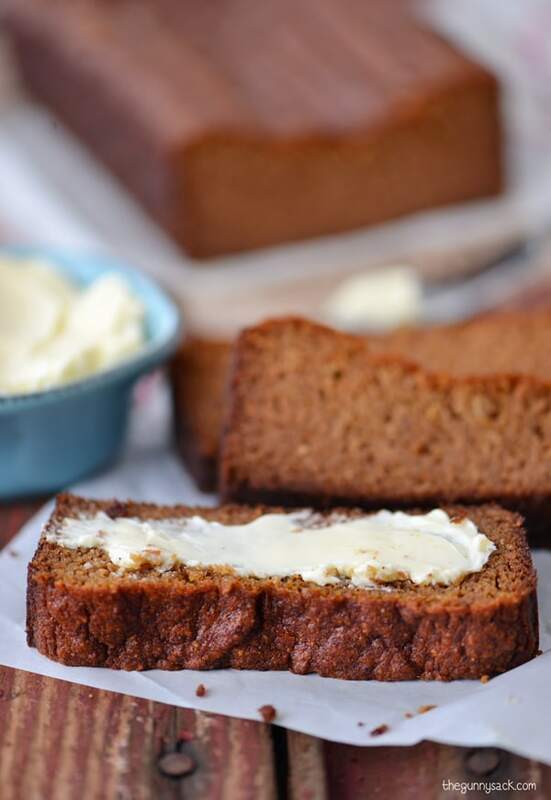 Whether you eat a grain free diet due to allergies or due to lifestyle choices, I have a delicious recipe for grain free, gluten free Pumpkin Gingerbread that I am sharing today. This is our sixth and final week of the Holiday Progressive Dinner and our sponsor is Nutiva. I received all of the items above: coconut sugar, coconut flour, chia seeds, coconut oil, hemp seeds, palm shortening, and hemp oil. They are organic and perfect for a healthy lifestyle. With all of the holiday sweets and appetizers, we’ve been trying to make smoothies to balance things out. We want to try the chia seeds and hemp seeds in our smoothies. 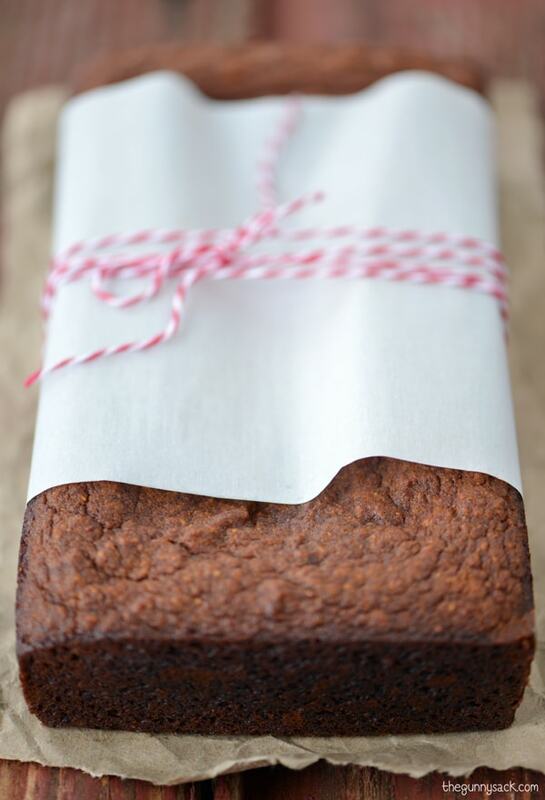 To make this pumpkin gingerbread, I use the Nutiva coconut flour and the palm shortening. 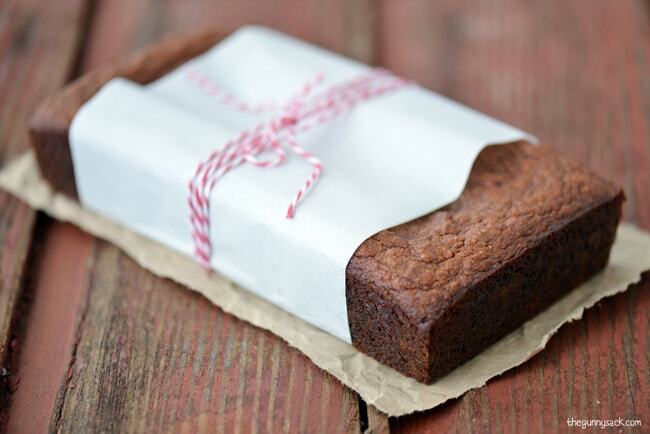 This would be a great gift to give to someone in your life who is gluten-free! First, wrap the loaf tightly in plastic wrap. 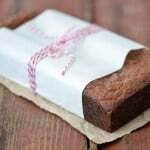 Then, wrap a piece of parchment paper around the loaf of bread and tie it with baker’s twine. Or you could bake a loaf to serve at a holiday party as a grain-free option for those who want it…but it will probably disappear quickly because even those who aren’t gluten-free thought this bread was really good! This Pumpkin Gingerbread turned out so moist and delicious! My friend told me it was the “moist-est” gluten-free bread that she has ever tried. Lightly grease a 9x5 loaf pan and line the bottom with parchment paper. Mix together eggs, honey, maple syrup, peanut butter, pumpkin, shortening and vanilla. In a small bowl, combine coconut flour, almond flour, ginger, allspice, cloves, cinnamon, sea salt, baking powder and baking soda. With the mixer on low speed, slowly add the dry ingredients and mix until well combined. Pour into the prepared pan and bake at 350 degrees for 50-55 minutes, until toothpick comes out clean. Cool in pan on a wire rack for 30 minutes. Remove from pan and cool completely. Wrap tightly in plastic wrap and store in the fridge. I just made this recipe and unfortunately I think it’s too dry and pretty plain. I even added more pumpkin puree. I love gingerbread! I would like to try the organic Palm shortening. I didn’t know it existed. 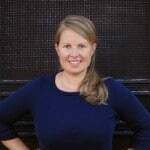 I have Celiac Disease and would love to try this recipe. It is so hard to make moist cakes and bread with GF products. There is something so festive about the word gingerbread! I love the warm, homey feelings it evokes and adding pumpkin must take it over the top. I can’t wait to try this scrumptious recipe, Tonia! I would try the shortening. I did not know of it’s existence. And I’ll repeat, Oh my, if it’s gluten free and gingerbread, I’m in food heaven. Thank you. Oh my, if it’s gluten free and gingerbread, I’m in food heaven. Thank you. 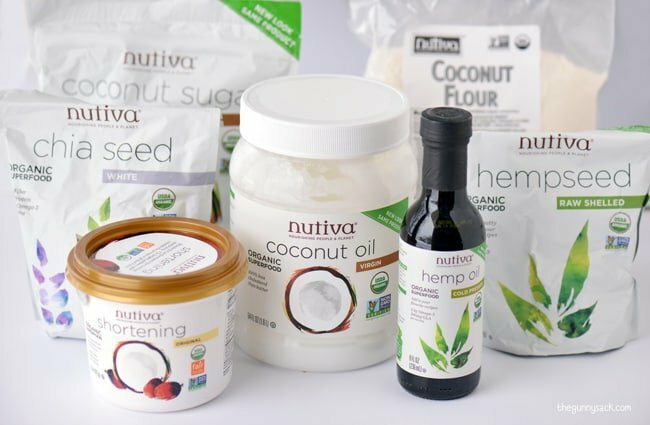 If I were fortunate enough to win this Nutiva giveaway, I would try the coconut flour (https://store.nutiva.com/coconut-flour/)! Thank you for this opportunity and have a very Merry Christmas! Your Pumpkin Gingerbread looks delicious.